Another busy and diverse year of projects has flown by. Once again Corus Entertainment and director Joel Stewart kept me hopping in the edit suite and on the music front. First up for YTV was a special featuring the talented teen sensation Shawn Mendes. Another docu-concert for CMT featured “High Valley” returning home from Nashville to small town La Crete, Alberta for a full blown concert and visit with family and friends. 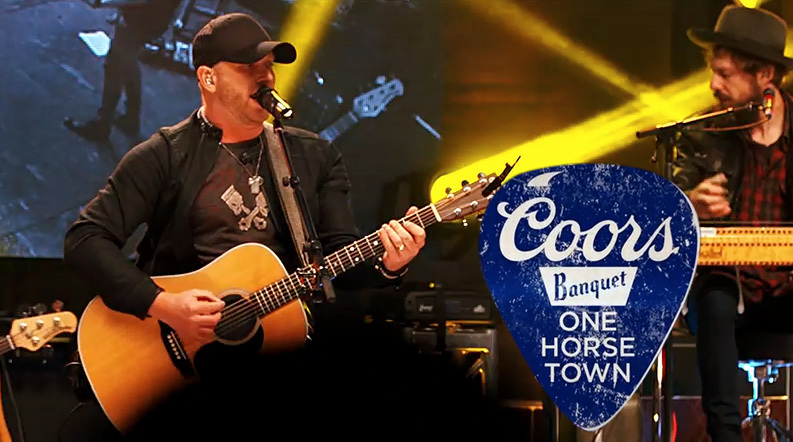 Next up was “Coors Banquet – One Horse Town.” This one hour special took place in Lacombe , Alberta. The town competed via social media against 700 other small towns across Canada to win a full blown concert on their main street. The free beer was flowing as the whole town rocked out to the Boom Chucka Boys, The Road Hammers, and Tim Hicks! Also at Corus I had a year peppered with dozens of interstitials/skits for Teletoon featuring the funny and talented primetime hosts “Jamie & Jon”. For YTV it was Carlos at TIFF and for W it was host Josie Dye and a host of celebrities for Saturday night movies. In between these gigs I also found time to co-edit on Mark Bochsler’s doc The Gold Krama, I cut several PSA’s with Mark Johnston for HJC, a 3 minute After Effects animation for Ve’ahavta and a couple of corporates for Doug Hohener and Creativeworks. Up next is a special docu-concert with Scotland’s Johnny Reid. Gotta get to work now!